Little Gem is hand made by me. 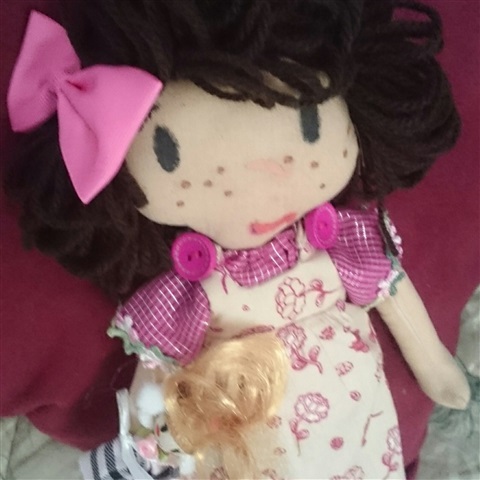 She is 25cm tall, her face is painted on and hair is triple back stitched onto head. 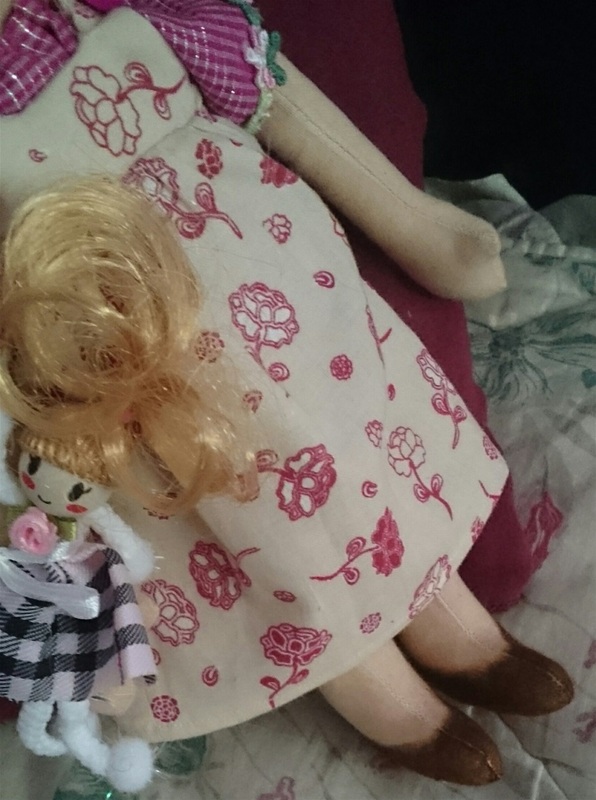 All her clothes are removable and washable, Brown shoes are painted. Bloomers are red with a crocheted cord. 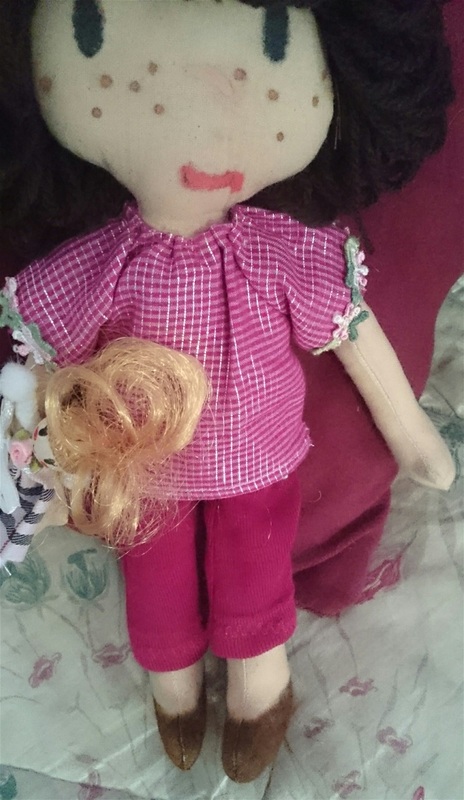 Blouse is red/white stripesd with flower trim on sleeves. 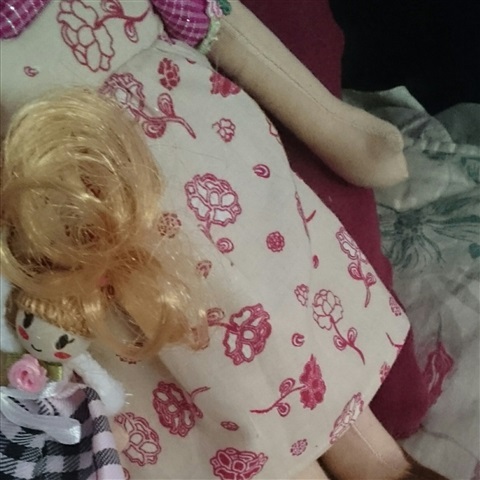 Pinafore is red/ cream floral with press studs and button on shoulder straps. 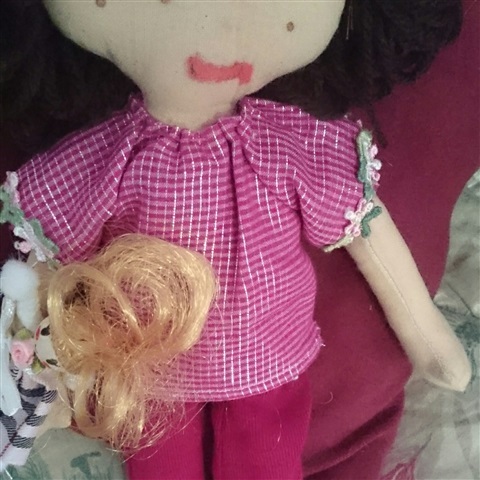 Pink hair bow in hair is removable. 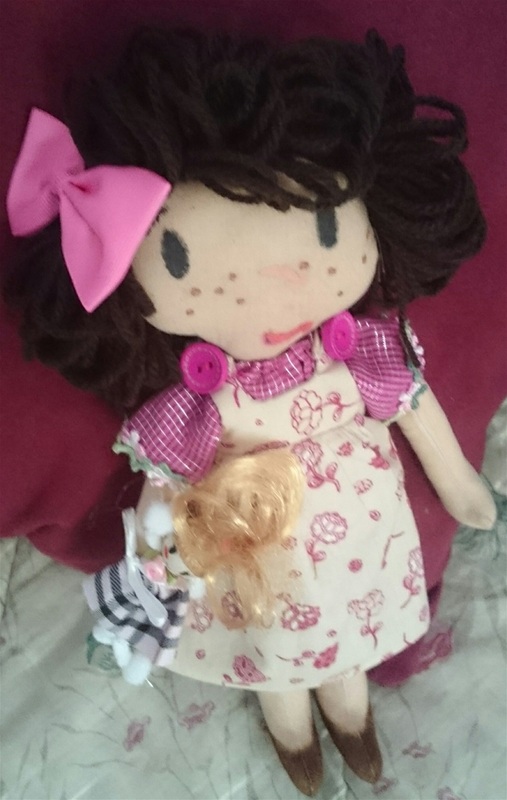 She is carrying her own little doll which is tied onto hand with white ribbon.